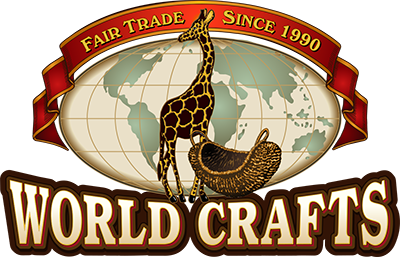 How do you Fair Trade? Is there a wrong way to support Fair Trade? No. And yes. Life is complicated. Before bailing out, hear me out. You don't have to be a die-hard, 100% Fair Trade fan in order to support the cause and create change. Do you consume tea, coffee or chocolate? Start by purchasing those items from Fair Trade sources. Your grocery store might also carry items like Fair Trade spices, hot chocolate, olive oil, bananas, berries, apples and occasionally, flowers. Find a Fair Trade store that offers a variety of home décor, instruments, jewelry and personal accessories. That's not so complicated, is it? Is there a wrong way to support Fair Trade? Not really. But if you want to support Fair Trade, do it because you believe in it. Shop it because you want your dollar to make a difference for someone else. Support it because it puts children in school. Promote it because you care about human rights. Give it because it empowers people to improve their lives. However you do Fair Trade, do it wholeheartedly! Copyright © World Crafts. All Rights Reserved. Built with Hatch.